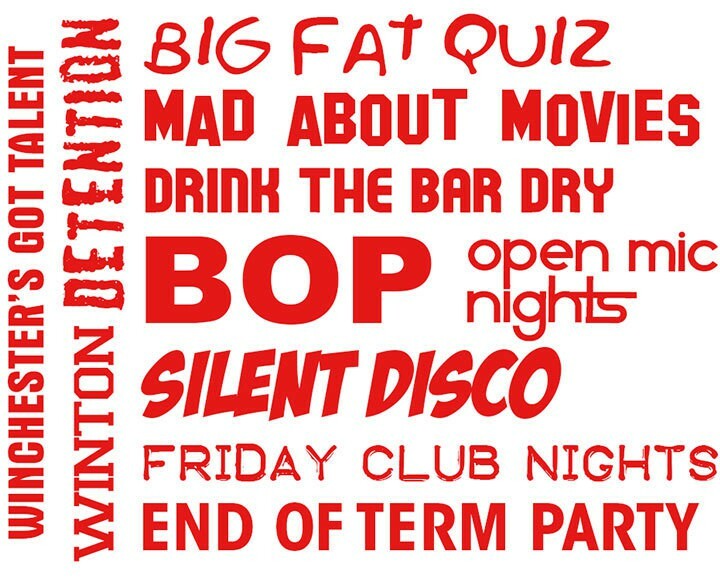 Winchester Student Union strives to offer a varied events schedule throughout the year. Our entertainments officer works with students and staff to deliver a wide range of events from clubnights to quiz nights, movies to live music, there is something for everyone! To see what's on in the Student Union click here to see our events listings, or like our Facebook page to get involved.